On behalf of admin of JML Law, A Professional Law Corporation posted in Product Liability on Wednesday, May 23 2018. The “failure to warn” case is the most common type of product liability claims in Long Beach and all across California. Under federal and state laws, a manufacturer, distributor and other parties involved in the chain of distribution have a legal duty to provide adequate warnings on a product. When a consumer suffers an injury or dies as a result of using a product and he/she was not warned that this specific function or malfunction may cause harm, all parties in the distribution chain may be held liable for the injuries and damages, explains our Long Beach product liability attorney at the JML Law. Many people in California do not know that failure to warn is considered a product defect, too. Given that so many people have misconceptions about failure to warn product liability cases, we asked our best attorneys to explain how manufacturers and other responsible parties can be held liable for your injuries. Could harm be predicted or was it obvious? In California and most other states in our country, product liability claims and lawsuits are governed by the “strict liability” rule. This particular rule allows to hold manufacturers, retailers, distributors and other parties liable for defective products regardless of whether negligence played a role in causing the defect. While it is pretty straightforward that manufacturers are legally required to warn consumers of any potential harm and risk of injury, the most common dispute in failure to warn product liability cases is whether the manufacturer could have predicted the harm or injury or if the potential harm was obvious. For example, a person who suffered burn injuries as a result of fire caused by his own misuse of the matches may not be able to hold the manufacturer of the matches liable. In another case, a person who suffered injuries as a result of a chair breaking under his weight may be able to sue the manufacturer of the chair for failing to warn of the maximum weight allowance restrictions. 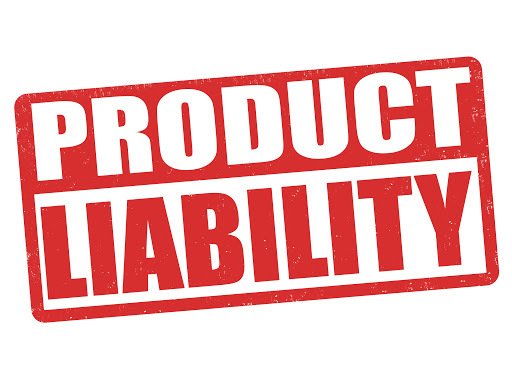 But determining whether the cause of your injury when using a defective product could have been predicted is not the most difficult part of suing manufacturers and other liable parties in failure to warn product liability cases. Our best product liability attorneys in Long Beach and all across California explain that it must also be proven that you used the product as intended or in a reasonably foreseeable way. In other words, you must show evidence that your specific use of the product was something the manufacturer could have predicted but failed to warn about the potential harm of using the product in such a way. In addition to that, it is important to prove that the risks of this particular use were not obvious to you as a consumer. Many manufacturers in Long Beach and all across California tend to think that they are out of trouble as long as they put warnings at least somewhere in those lengthy, boring, and unreadable instruction manuals. But according to California product liability laws, the warning of harm or risk of injury must be written in plain English, understandable to the average consumer, and must be in a visible place or where the user is expected to see it. You may have wondered why almost all power tools include warnings directly on the product as opposed to being buried deep in technical manuals. More importantly, manufacturers and other parties involved in the chain of distribution must stay knowledgeable about their product and be able to proactively react to any risks when discovered. In any case, it is highly advised to speak to a Long Beach product liability attorney at the JML Law to figure out whether or not your particular case can qualify as a failure to warn or any other type of a product liability case. Get a free consultation by calling our offices at 818-610-8800 or send us an email.